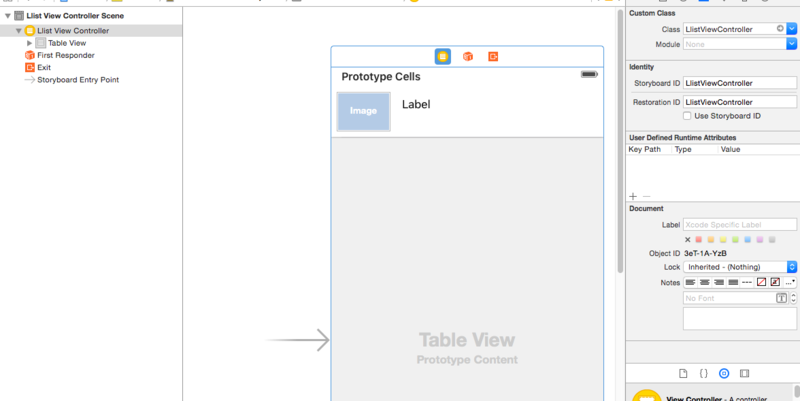 Unknown class LlistViewController in Interface Builder file. Could not cast value of type 'UITableViewController' (0x1082ed7f8) to 'ListViewController' (0x1051a7f40). @IBOutlet weak var label_title: UILabel!